From the NParks website: As the access route to Marine Park Outreach and Education Centre and St John’s Island Trail is affected by SLA’s maintenance and repair works, the Marine Park Outreach and Education Centre and St John’s Island Trail are closed until further notice. More details behind the closure on the wild shores of singapore blog. 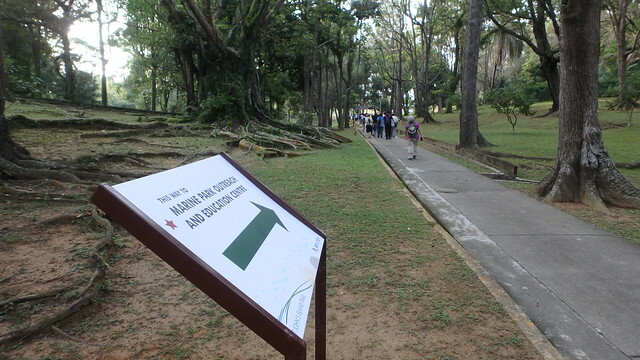 Updated notice on the NParks website: "The Singapore Land Authority (SLA) had closed part of St John's Island from now till the end of the year arising from the asbestos found in the campsite area. As investigations and works to remove the asbestos are ongoing, the St John's Island trail and the Marine Park Outreach and Education Centre and St John’s Island Trail will be closed until further notice. We seek your understanding for the inconvenience caused."